Welcome to our Tennis Club. Auckland's best and friendliest is waiting for you! Mt Eden Tennis Club has been a part of the Auckland tennis community since 1923. Situated by the memorial gates at the end of Poronui Street, the club has a picturesque setting surrounded by trees, our historic stone walls, and with a fantastic view of Mt Eden. We are an active club of about 300 members, fielding 6 senior interclub teams and 10 junior teams... as well as plenty of members who just play for fun! Great tennis coaching is a big part of the club. From beginners who want to learn, through to the competitive souls who want to polish up their game at a high level. Scheduled activities run most weekdays, beginning with our popular adult group coaching on Mondays, free with membership. Come try us out today... We'd love you to join us! Free group coaching for adult members. A great way to meet other members. Competitive games between club members. Social doubles matches. A great way to meet other members. Coaching and social play for high-school students, included in membership. Fun games and coaching for children 5 years to 7 years, included in membership. 3.45pm to 4.30pm (5yrs to 7yrs) / 4.30pm to 5.45pm (8yrs to 10yrs) / 5.45pm to 7.00pm (10yrs to 16yrs), included in membership. Fun games and coaching for all juniors. 9.00am to 9.45am (5yrs to 7ys) / 9.45am to 11.00am (8yrs to 16yrs), included in membership. 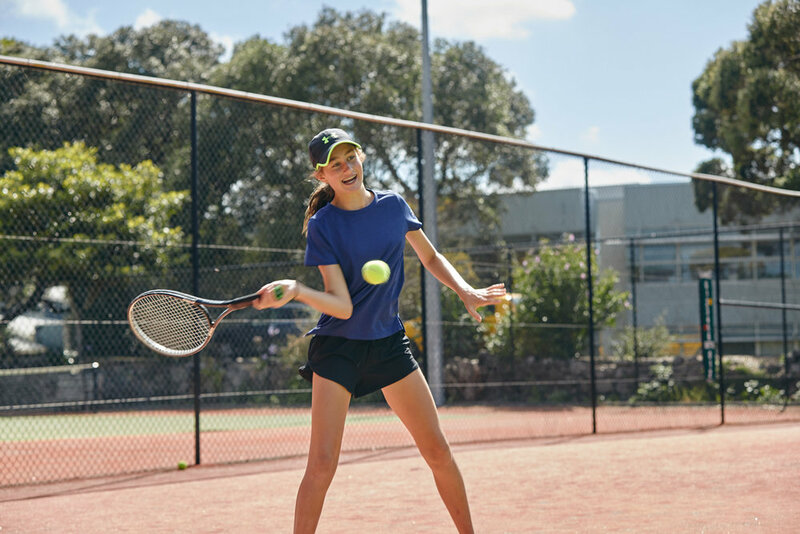 Boys and Girls singles and doubles tournaments: 10 and under, 12 and under, 14 and under, 16 and under grades. Mens and Womens singles and doubles tournaments. A fun tournament for senior members. The focus is on participation and enjoyment, rather than winning or losing! Club coaching starts from 15th October 2018 and finishes at the end of the first term 2019. There is no club coaching during the holidays. For parents of a fee-paying junior, who would like a hit occasionally with their child. All welcome! Come and enjoy the sun and friendly atmosphere.